Our engineering department is divided into two sections, with a staff of over 10 CAD/CAM designers. 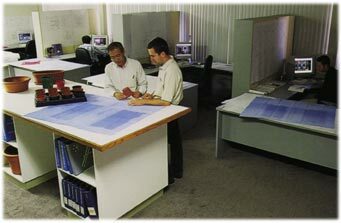 One section produces the techincal blueprints. 2 and 3D design applications. Close co-operation and communication between our customers and our own team help to minimize production problems.